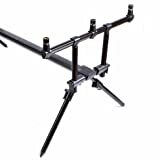 This rod pod is constructed to cope with all terrains and provide a great, sturdy base for your carp/specimen set up. 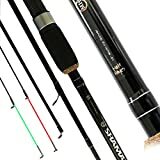 Ideal for up to three rods. Packed in a green carry case. Matt Hayes says “Super value set up for up to three rods – ideal for all specimen fishing situations especially carp. The set up is lightweight meaning it is easily transportable. Floater fishing is one of the most exciting styles of angling but getting a hookbait that can be fished alongside your hard floating pellets or dog biscuits can be troublesome. These softened floating pellets make it simple! Use them straight on the hook or on a hair rig. Use them whole or cut down! The ultimate storage for all your terminal tackle.